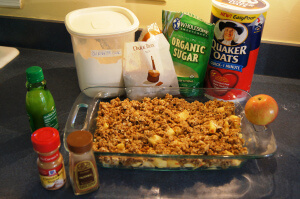 Fall…apples, cooler weather, apples, crisp mornings, apples, cider, hay rides, pumpkins, apples,….and that brings me to today’s recipe: Apple Crisp! This is an unbelievably easy, no-fuss, somewhat healthy dessert. This one is for my daughter – she loves it, and usually makes extra topping as some of it never sees the oven because she ends up eating it! Here’s the recipe – the measures are all approximate, increase or decrease the butter, sugar quantities per your taste/requirements. I also use raw sugar instead of white sugar in the apple layer, and didn't use flour at all. Have fun with it! Prep the apple layer first. 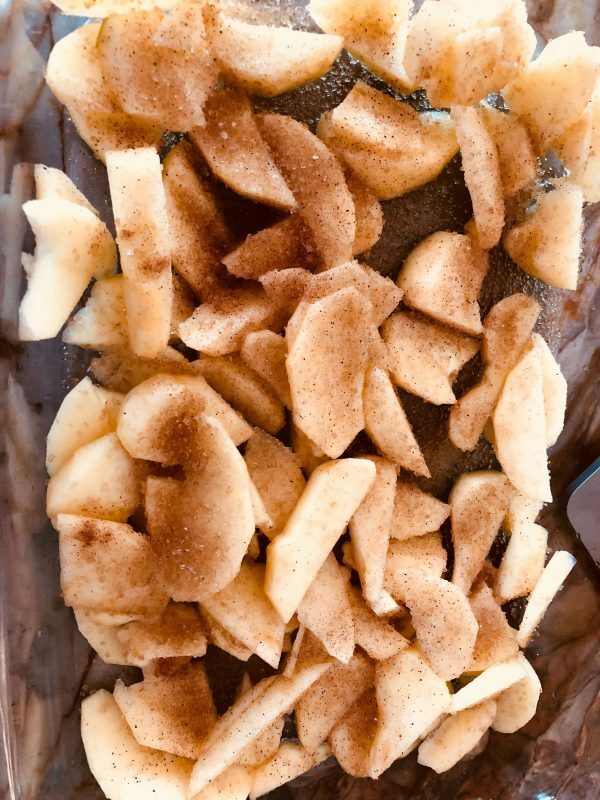 Slice apples thin, and spread them in an even layer in your baking pan. Top with sugar, cinnamon, and nutmeg. Drizzle with lemon juice. I usually make up to this point during the day/prior to when I want it and cover it and keep. I then stick it in the oven just when starting the meal, and it's ready by the time you're ready for dessert, warm and delicious. Not to mention your house smells wonderful with the aroma of baking apples and cinnamon! Bake for 30 minutes in a 375 f oven. 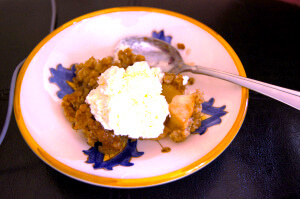 Serve warm as is, or with a scoop of ice cream, or with a dollop of freshly whipped (real) cream. Typically, baked recipes call for precise measure, and specific techniques (how long to knead, etc.) 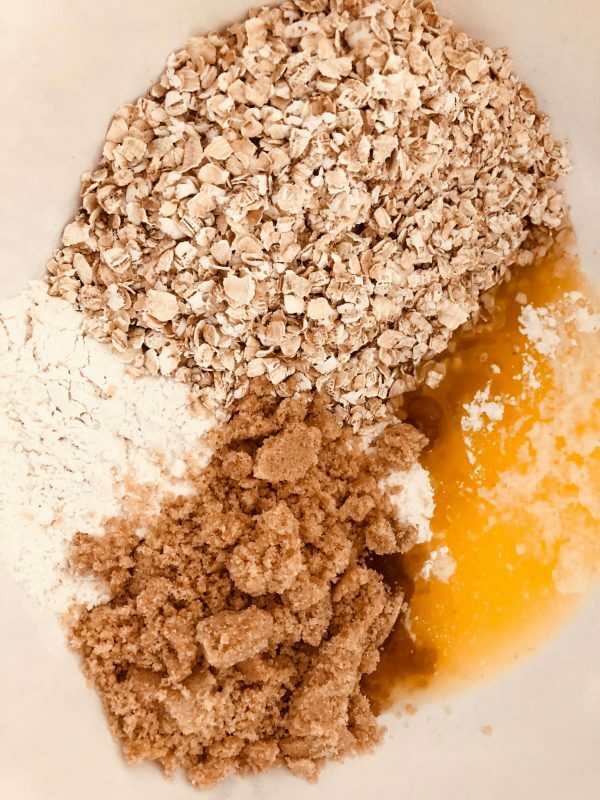 But with this one, you can almost do whatever you want (within reason), increase or decrease ingredients, and it'll still turn out pretty yummy! The only caveat here is what you bake in - I typically bake in glass dishes and the temperature of 375 farenheit seems to work. 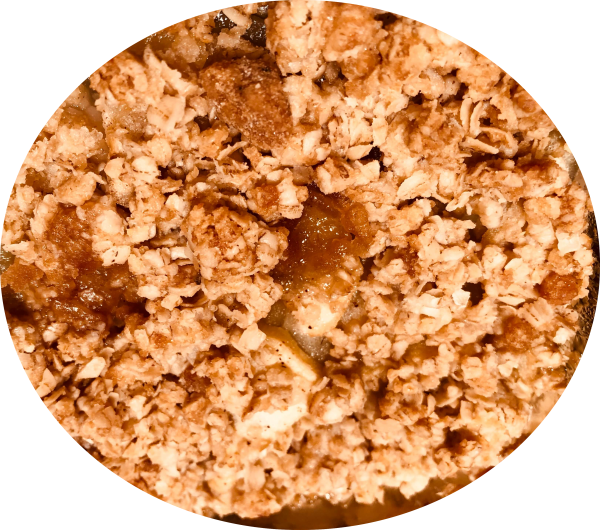 But if you bake in cast iron or other pans, you might want to check frequently and make sure your apple crisp is indeed cooking, and may have to either increase cooking time or the temperature. I have tried using different varieties of apples and found that honey crisp gives the best results - doesn't lose its shape, retains a bit of bite, and has great flavor. I typically start with the topping measures as given, and end up making extra as some of it never sees the oven if my daughter is around. 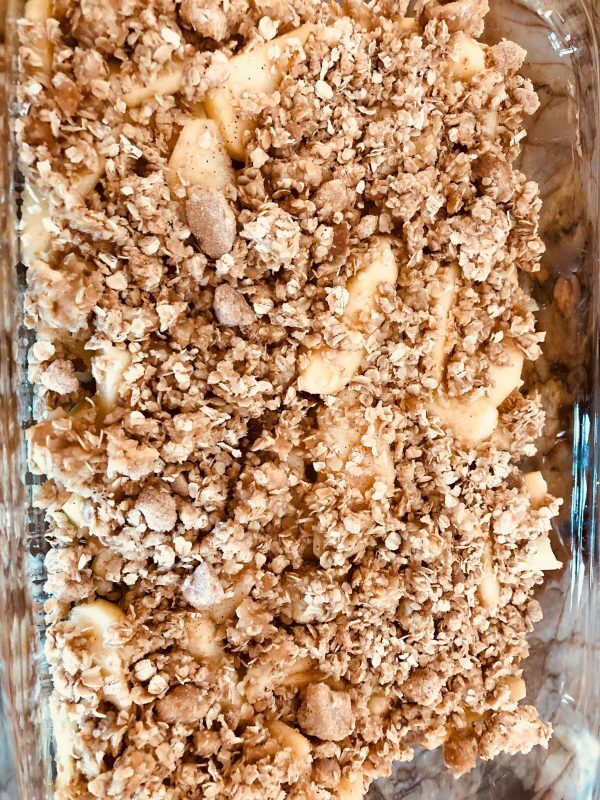 I have completely stopped using white sugar, and used very little raw sugar in the apple layer this last time I made this recipe. About 5 large honey crisp apples make about 2 13x9 sized pans. Apples to be sliced into bite sized, thin chunks.